and great friend of John Hill, who was later to die in a tragic road accident when his then band’s (Possessed) van was in a crash with a stationary truck. The band is notable as the last of several line-ups included two musicians, Robert Plant and John Bonham who went on to join Led Zeppelin; and, to a lesser degree, because the band’s roadie was Noddy Holder. 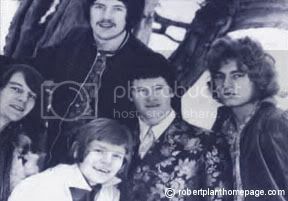 The earliest incarnation of the group was formed in 1966 by Plant. Conflicts with the band’s management led to Plant leaving the group after a few months. He quickly tried to form his own Band of Joy, but it soon folded. A third incarnation of the band, including Plant’s childhood friend John Bonham, lasted from 1967 to mid-1968. Their brand of soul and blues was popular with Birmingham mods. 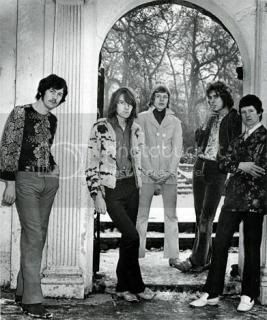 The final lineup recorded a number of demo recordings in early 1968, but broke up in May 1968 when a recording contract failed to materialise. At some point the lead guitar duties were taken by Dave Pegg, who later played the bass guitar with Fairport Convention and Jethro Tull. 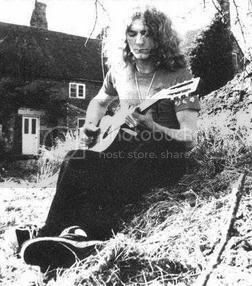 The story was recalled by Robert Plant when he joined Fairport at the Cropredy Festival in 1986, with Dave Pegg recalling, that it was Plant who fired him from the band. they were at school together, he was playing bass in a band Called Uncle Joseph. This was a blues three piece with Simon Fox on drums, later the drummer with Be bop Deluxe. At a famous art students party in Lye, a black country town, Robert and John co-opted Hill and strode into the band to complete a tour of scotland for the infamous promoter Duncan Macinon. Please read George Melly’s first book where he devotes a chapter to Duncan. There are many fond memories of this tour, alas not for Bonzo. John Hill continued playing in The Wellington Kitch Jump Band and also did a stint with the Foundations. ( stage name Johny Flambe ), also producing two albums. Mick Strode is still playing fine blues guitar. Plant and Bonham eventually joined Led Zeppelin. drummer Pete Robinson, and future Robert Plant sideman Robbie Blunt. They made two albums before breaking up after a serious road accident. In 1977 Gammond and Lockey revived the Band of Joy, rounding out the lineup with Pasternak, Robinson, and keyboardist Michael Chetwood. They invited Plant and Bonham to contribute to their 1978 self-titled album, but nothing came of it. The group released a second album in 1983 before breaking up. Gammond later joined Robert Plant in the Priory of Brion from 1999 to 2001. A few years after BOJ split up, Gammond and Lockey went on to play in Bronco when Jess Roden left Bronco to go solo. Pete Robinson, from an earlier incarnation of BOJ, was on drums, with John Pasternak (bass) and Dan Fone (keyboards). Jess Roden and Paul Lockey were never in Bronco at the same time. My involvement with the BOJ was both professional and social. We were all from West Bromwich, and as such knew each other very well. at some time or another. I worked and recorded with Paul Lockey, and co-wrote and recorded several songs together. Chris Brown was another local musician I had the pleasure to know and work with. The picture here is NOT the Band of Joy. I know a couple of the guys in the picture (Aitch(drummer) and Mickey Cox(guitar) )but cannot remember that bands name but it was definitely not BOJ. other day, local supermarket, saw back of person, long hair, tight jeans, Mick all over, not of course, miracle not. The very last BoJ (for only a short time in 68)was Rob Plant, John Bonham, Mick Strode (guitar), Johnny Hill (bass). I was lucky enough to see the 1968 line up of Band of Joy practice at the Langley Institute, I was 15 at the time, and was a friend of Mick Strode’s younger brother Steve. The Strode’s lived just about 10 minutes walk away from the Langley Institute. Sadly, Micky Cox passed away last week, he will be missed by everyone who knew him. He will be cremated on Tuesday 5th April at 10.00am at West Bromwich Crematoriam. 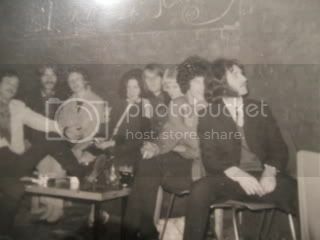 Way back in 1968 I was invited by a friend to go to the Langley Institute to see a band practice my friends name was Steve Strode and his brother Mick played lead guitar with the band. I was 15 at the time and count myself as being very lucky to have been ib the right place at the right time. I think some of the musicians who played in the various Band of Joy line ups but who tend to be omitted from histories of the band should be acknowledged. 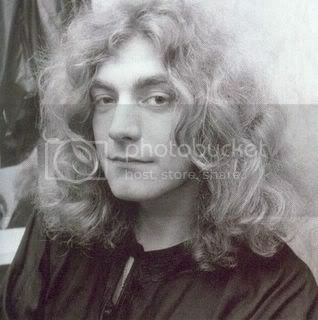 The first Band of Joy consisted of Robert Plant on vocals, Vernon Pereira on guitar (Vernon and I left The Stringbeats to join Robert in this enterprise) plus Pete Robinson on drums (from The Shooting Stars) and John Mathews on bass with me on organ. When Robert left we recruited Mickey Cox on guitar and vocals plus Paul Lockey on bass and vocals, both from The Shooting Stars, renamed the band A Good Egg and set off immediately to pick up some Band of Joy dates in Scotland where we were very successful. Further UK dates followed. Robert, Kevyn Gammond on guitar, whom I knew from the Shakedown Sounds, and I formed the best known Band of Joy with Paul Lockey on bass and John Trickett on drums. Dave Pegg and John Bonham who played in The Way of Life had originally been going to play bass and drums but they decided to stay where they were. 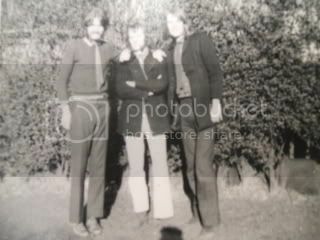 John Bonham replaced John Trickett soon afterwards having changed his mind while Dave Pegg went to play in the Ian Campbell Folk Group. So, I hope this sets the record straight in amongst the considerable amount of misinformation about the Band of Joy which has appeared on the web and in print. Thanks Chris for acknowledging the musicians who played in the Band of Joy. Pete Robinson is still working and depping for bands, and is also our drummer in GasFoodLodging. He dosen’t talk much about the eary years but when we’re out and about folk still remember him from the band Bronco. Hi John, sorry this reply has been so delayed but I don’t look at this site very often these days.Still, better late than never. I too have fond memories of our time in Wellington Kitsch, both in Zurich and in Hof, Germany. Sadly I don’t think I have any photo’s from that trip. It was a very good band though and I remember some of the american servicemen in Hof making very favourable comments about some of our jazzier improvisations. I hope you’re keeping well. Well cleared up Chris, for all readers, this is the correct story. It would be great to catch up again chris, don’t know if you can get my email from here ? Great to hear from you Chris. There was a set of photo’s we did in Zurich, but they went missing when I split up with Bridget. Some were taken in a building site trench, wish I still had them. Whatever happened to the blowers Bob and Frank ? Are you playing these days ? I never remember Dave Pegg actually playing in the BOJ. Robert and I met him on the high street West Bromwich to talk about him joining but I don’t believe he ever did. I don’t remember Noddy Holder roadying either but I was never there 100% of the time. I am still in touch with Chris Brown by email occasional and see Pete Robinson from time to time. His memory is a bit vague as a result of the accident that Bronco had. A wonderful drummer I always thought. Robert I last saw a few months before 66 to Timbuktu came out. He wanted my copies of the BOJ demo tracks which I had cassettes of. A lot of the musicians from those days were unfortunate to remain unknown and under appreciated. The BOJ were always better than Zep IMHO. Paul Lockey was/is a tremendous guitar player and could sing and write great songs too. i am disappointed that RP never really gave all his old friends a break when he made it – perhaps there was too much personal water which had passed under the bride by then. what ever happened to Paul Lockey.. He married Pat (they were together from mid sixties until the present day) and he lives in Spain where he still plays regularly and has a radio show. He has a daughter Saskia who runs a clothes business. Paul and his wife Pat are living in Nerja, Cota Del Sol Spain. He is still performing at local music venues. He hosts a regular jam session as well as his own gigs. A good performer always pleases his audiences. Still at it, just saw these posts. Alternate Spain England, nice thing when old faces turn up and say hello in Spain, the best gigs, when did I ever get to love gigs? About 1964. Never realised till now. Howdy paul, great to hear you are still playing, i was over in spain recently with Glen, Percy’s bro’ inlaw. Would be great to catch up sometime. Am still at it myself, Vincent flatts, The Notorious Brothers and currently The Stanford Hill Mob. Found tonnes of gigs for Robert Plant & His Band of Joy in the British Library (best source is Fabulous 208 magazine). The ones below, however, do not include the dates featured in Harry Barber’s excellent book ‘The Band of Joy”. I have not noted down the 1968 dates from Fabulous 208 but I know there are tonnes. Fabulous 208 magazine was an excellent source for regional gigs while Birmingham Evening Mail helped with Birmingham area gigs. Melody Maker was another useful source for London gigs. Just saw yourlist of BOJ gigs. Thanks for the reseach, forgot most of these, but happy memories nevertheless. What an excellent and interesting list of gigs all these years later. So many well known venues of that time and we really did get around didn’t we?